Now in paperback, Michael Coffey's wonderful book about baseball's holy grail, the perfect game: “The best baseball book of the...season” (Booklist). There have been only fifteen perfect games pitched in the modern era of baseball: The great Cy Young fittingly hurled the first one, in 1904, and Randy Johnson pitched the last one, in May 2004. In between, some great and famous pitchers—Sandy Koufax, Catfish Hunter, Jim Bunning, and Don Larsen—performed the feat, as did those lesser-known, like Charlie Robertson and Len Barker. Fifteen in 160,000 games: The odds are staggering. 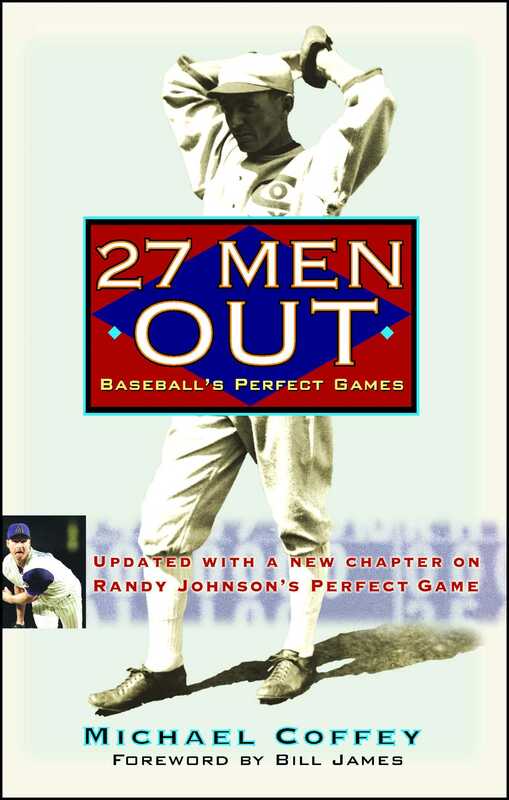 In 27 Men Out, popular historian Michael Coffey offers an expansive look at these unsurpassable pitching performances. Here you'll find play-by-play accounts of each of the fifteen perfect games and expert assessments of those who pitched them. Along the way, Coffey goes beyond the box scores to provide fascinating details about how these games unfolded, as well as compelling anecdotes about all of the key players—from Koufax's controversial holdout with Don Drysdale to Mike Witt's victimization by the baseball commissioner to Dennis Martinez's struggle up from an impoverished Nicaraguan childhood. A must-have for baseball fans, historians, and statisticians alike, 27 Men Out is an exciting new benchmark in sports literature.